I filled the bottle a quarter full with water, then added some food dye. I mixed it well then topped up the bottle with baby oil (I just used Dollar Store oil). 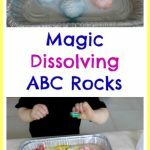 To get the bubbling effect, I dropped in a few crumbled bits of one effervescent tablet. The antacid tablets react with the dyed water, creating carbon dioxide. This pushes up bubbles through the oil, creating an effect like a fast lava lamp! F loved watching the bubbles whizz around inside the bottle. Mostly they went up, but sometimes they went down! He got a little concerned when the bubbles spilled over the top of the bottle, but that was all part of the fun! 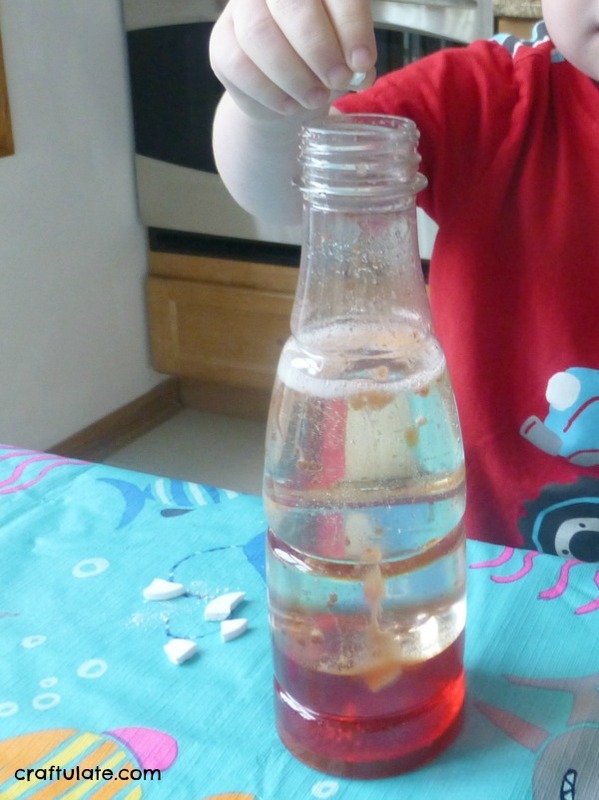 Note: If the bubbles do spill over, it can get quite oily to clean up – so please make sure you have a protective surface underneath the bottle for this science experiment! Younger children will enjoy watching this, but should be supervised around the tablets. They should obviously not drink the liquid either. Older children can be in charge of the experiment – adding as many pieces of tablet as they like. 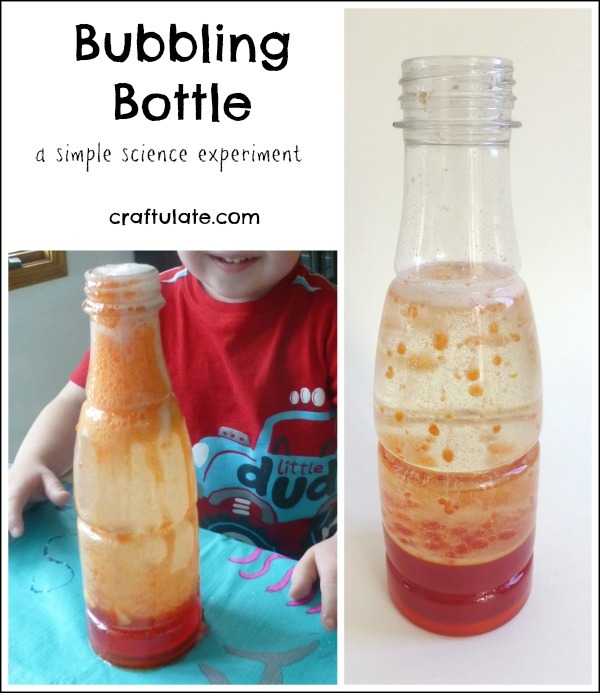 This bubbling bottle can be used over and over again. Just wait for the bubbles to subside, then start again with another tablet. Or put a lid on it, and keep it in a safe place for a rainy day!